The Gig Harbor Safeway that became a Haggen will become a Safeway again on Feb. 3. But Safeway spokeswoman Sara Osborne said no reopening date has been announced for the vacant Safeway-turned-Haggen in Port Orchard, also set to return to the Safeway fold. Safeway parent company Albertsons LLC. bought back both stores from Haggen in a bankruptcy auction last fall. 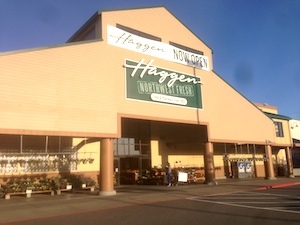 Haggen stores in Silverdale and East Bremerton were not purchased during those auctions and remain empty. The Bucklin Hill Road and Wheaton Way locations were previously operated by Alberstons. Haggen stores in Port Orchard and Gig Harbor could be bought back by Albertsons, according to court documents. Haggen is auctioning off dozens of stores this week as part of a bankruptcy reorganization, and Albertsons has emerged as a bidder. Documents filed in U.S. Bankruptcy Court in Delaware Friday show Albertsons entered bids for 12 stores in Washington, including former Safeway stores in Port Orchard and Gig Harbor. Albertsons submitted a baseline bid of $200,000 for the store in Port Orchard, and $500,000 for Gig Harbor. No baseline bids were entered for Haggen stores in East Bremerton or Silverdale, which were formerly Albertsons. 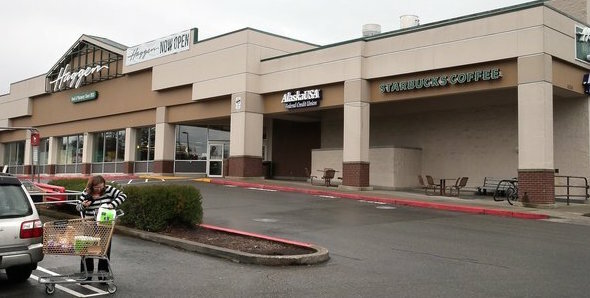 Eighteen Washington Haggen stores will be auctioned Wednesday, according to documents. 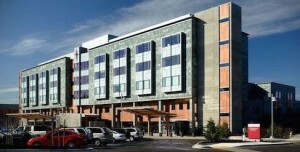 A hearing will be held Nov. 24 to review the auction results. Albertsons is bidding on stores it was forced to divest to meet antitrust requirements as it completed a merger with Safeway this year. Haggen stores in Kitsap are slated to close by the end of November and have begun to liquidate inventory. Many Haggen employees have already been rehired at Albertsons and Safeway stores, with permission from the Federal Trade Commission. Supermarket News and the Seattle Times have more on the Haggen auctions this week. You can read all of my Haggen blog posts here. 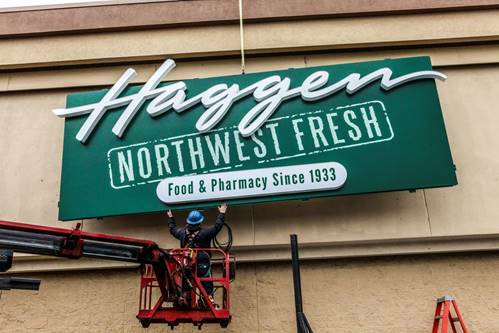 UPDATE: Supermarket News reported Tuesday that Haggen will auction off all its stores. This includes the “core stores” Haggen initially said it would keep, and the chain’s original stores in the Bellingham area. Haggen’s first two Kitsap County grocery stores have been up and running for about 10 days now. In an effort to get to know their new neighborhood better, Haggen representatives are hosting a community meeting Thursday in Port Orchard. Haggen is holding these meetings in all the new markets it’s moving into this year. According a news release, Haggen wants to hear from small farmers and producers interested in selling wares in the stores, nonprofits interested in Haggen’s charitable work, and small businesses interested in co-marketing campaigns, as well as community members. The meeting is scheduled for 5-6 p.m. Thursday at the Port Orchard Pavilion, 701 SW Bay Street. Haggen is taking over 146 former Albertsons and Safeway locations this year, including three in Kitsap County. The Bellingham-based grocery chain converted a Silverdale Albertsons and a Port Orchard Safeway to the Haggen Northwest Fresh brand on March 7. 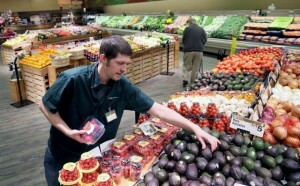 An East Bremerton Albertsons will follow in June. A Gig Harbor Safeway became a Haggen on March 11. A community meeting is scheduled for 5-6 p.m. March 23 at The Inn at Gig Harbor, 3211 56th Street NW. If you’ve already been shopping at the Haggen stores I would love to know what you think. Drop a comment below.